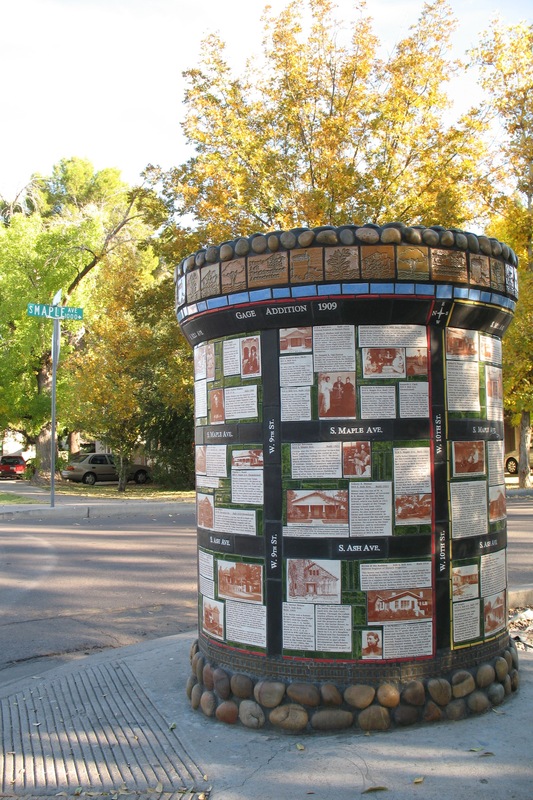 The fourth standpipe was designated to tell the rich history of the Maple Ash Neighborhood. We tossed around ideas of how to best present that history on the standpipe. Then my studio assistant Heidi Dauphin came up with the brilliant idea to create a map of the neighborhood on the standpipe. 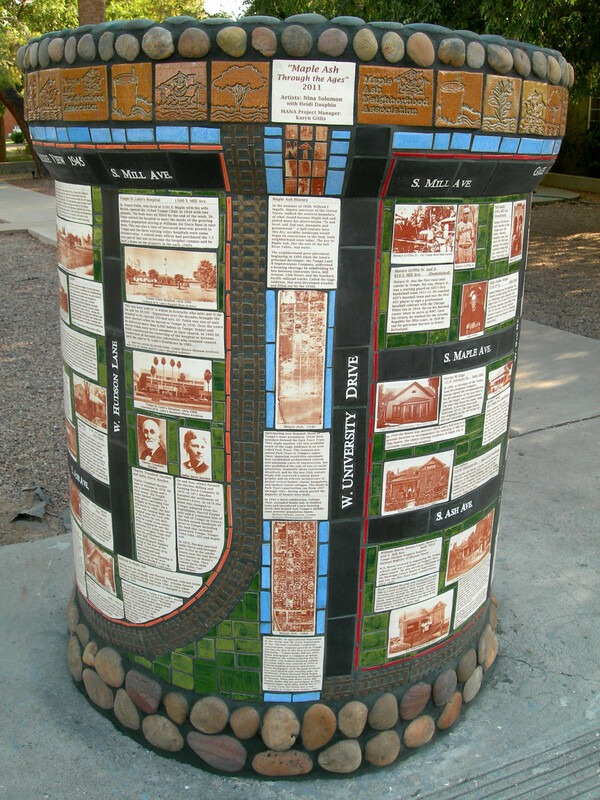 Therefore, when you look at this standpipe, you will see a map of Mill, Maple and Ash and University to 13th St and beyond. You will also see the time period during which each of the three sections of the neighborhood was developed. 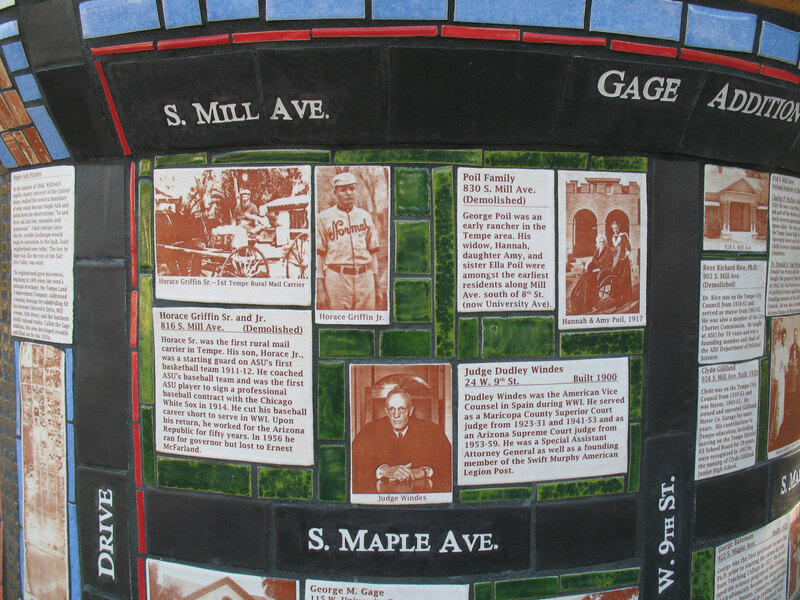 Each block on the map has pictures and text that tell stories of the people who lived there. Kudos to Karyn Gitlis who helped track down the pictures and create the text to tell all these stories. I then turned them into tiles using my printer to create iron oxide decals that I could fire onto the clay. Once again the neighbors helped with tile making, glazing and installation.